﻿ Dr. Keene, Top Surgical Hair Restoration Physician in Tucson and Scottsdale Arizona, chosen to do hair restoration procedure. Dr. Keene, Top Surgical Hair Restoration Physician in Tucson and Scottsdale Arizona, chosen to do hair restoration procedure. https://hairrestore.com/ Dr. Sharon Keene chosen to do hair restoration procedure. As a adolescent and teenager I always wondered what I’d look like in my 20’s and 30’s. I figured I’d maintain my handsome looks and continue to attract women just by being single and putting myself out there. I mean, at the time, my dad was in his mid-forties and resembled a shorter version of George Clooney. Never once did it cross my mind that I might have figure out how to deal with hair loss and reverse balding in my 20’s. When I graduated college I was 22 years old. My focus was to establish a career and make some money. Once I achieved those tasks, I put my focus and attention on finding a girlfriend. At this point I figured I would be a great catch because I was no longer a broke college student and I could take ladies out decent restaurants. But for reasons unknown to me at the time, I struggled to evoke any attention from the women I was used to attracting back in high school. I had always been a great conversationalist and an excellent people person, so that wasn’t it. I was stumped and totally lost. A few months later my poker buddies started to make cracks at my receding hairline. At first I didn’t think anything of it- I subconsciously did not allow these jokes reach my conscious brain. I figured they were just kidding around with me because I kept taking their weekly poker allowance. But week after week, the jokes kept coming. So one evening I finally allowed the criticism to become a reality. I measured my hairline in front of a mirror and estimated it had receded about 1 full inch since high school. Wow, I never thought this would happen to me. My dad was now about fifty years old, and had more hair than me. I quickly decided to put my dating journey on the backburner. I needed to figure out why I was starting to lose my hair and then find some solutions. Should I shave my head, let it recede naturally, take rogaine, or something else? I had no clue. I spent weeks researching the internet looking for every possible solution. I eventually selected a couple of solutions that were right for me. One of the solutions I chose was a bit drastic, and might not be for everybody. However, it totally increased my self confidence and helped me to stop thinking about silly things like “how to prevent hair loss” so I could move on to more important life events. If you want to keep your existing hair, did you know there are tablet medication options that will slow down or even stop your hair loss? If hair loss is new to you, than like me years ago, you haven’t had the need to shop around for this type of pill until now. Trust me, meds are a great way to stop hair loss and prevent yourself from going bald. Looking back, I wish I would have known about medication options a year or so before I admitted that I had hair recession. If you are interested in using medication to stop or slow down your hair loss, make an appointment at a dermatologist. The first dermatologist I met with wrote me a prescription for Propecia. I took this medication for about 9 months. I felt like it was definitely slowing down my hair loss and I would totally recommend it to you. However, after awhile I realized how much this medication was costing me. If I remember right, at the time I was paying about $1 a pill, so $30/month. If you know anything about brand names versus generic meds, you’ll know the brand names are much more expensive. Eventually, I settled on the generic version of Propecia called Finasteride, which I’ve been taking for over 10 years now. With my Walgreens membership and current US employee benefits, I’m getting a 3 month supply of Finasteride for about $10. It could be more expensive for you if you don’t have very good insurance or you’re outside the US, but you’ll need to do that research on your own. But nevertheless, it’s much cheaper than Propecia. If you’re asking me, skip Propecia and go straight for the Finasteride. So what do these medications do? What’s causing my hair loss? Well, men naturally produce testosterone each and every day. At some point in a man’s life there will be an enzyme which will start to convert this normal testosterone into its evil twin, Dihydrotestosterone (DHT). This DHT instructs your follicles to stop producing hair. It slowly chokes your follicles, making your hair thinner and thinner every time your hair cycles. By taking Finasteride, you can block this enzyme and eliminate the formation of DHT, giving your hair follicles a chance to stop being strangled. 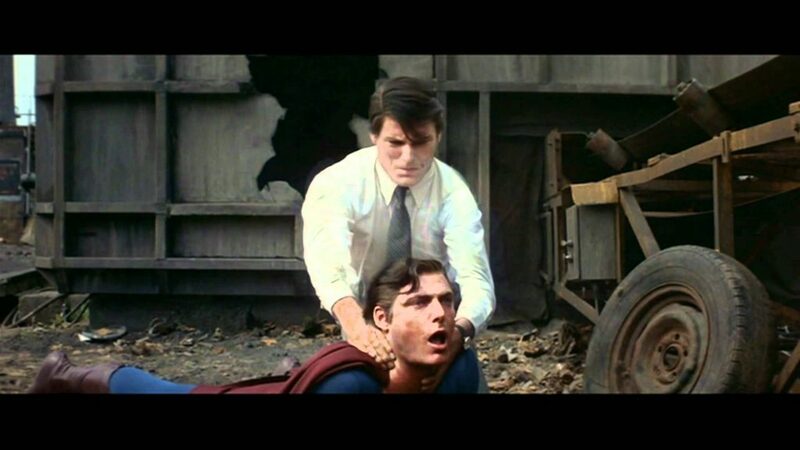 If you are confused just think Superman 3 starring Christopher Reeve. Remember this scene? So concluding this point, if you found this article by searching for something like “how to stop hair loss and regrow hair,” my first recommendation is to make an appointment at a dermatologist and tell them you want to learn about Finasteride. Not only will it save your existing hair, but it’s also great for your prostate and urinary well-being. Who doesn’t want more hair and a steady flow in the restroom? Shaving your head might be the quickest and most efficient solution if you’re looking for a quick fix for hair loss. The downside here would be the additional razors you’d need to purchase, for the rest of your life. At $3-5 for a decent blade, it’ll add up. In addition, your friends might start calling you Vin Diesel, The Rock, or Jason Statham, but who cares. Those guys are super cool. As long as you are confident, nobody will care. For me, there was no possibility I would ever shave my head. My head is super large and pear shaped, which doesn’t make the shaved approach look very good. But keep in mind my hair loss wasn’t extreme. It was approximately a 3 on the Norwood scale. If you’re a 25 year old man and you’re a 6 or 7 on the Norwood scale, then shaving your head might be your best solution to hair loss. Rogaine is a proven hair loss solution for men and claims to regrow 25% more hair within 3 months. The active ingredient in Rogaine is Minoxidil, which helps to reactivate shrunken hair follicles and increase hair protein production. Rogaine is available as a topical solution and a foam. They instruct you to use it twice a day. The topical solution is applied with a dropper. Their foam product is heat activated and absorbs in your scalp when you rub the foam in with your hand. Both options can be applied right after a shower. Rogaine’s website shows monthly pricing of $29.95 for either the foam or topical solution. Doing the math, this could be a costly investment year after year. I completely passed on Rogaine. Not for me, no way. I wasn’t about to use a dropper on my head twice a day. Plus, I figured the Finasteride would do the dirty work on the DHT forming under my scalp. I also felt as if Rogaine was an ancient approach to hair loss. With my opinion stated, I do understand that some people are anti-medication. If you are one of those people, then perhaps Rogaine would be a decent solution in your quest of preventing male pattern baldness. In addition to taking Finasteride, and after months of researching all of my hair loss options, I decided to permanently restore my hair. Yes, some of you might be saying “you mean those old hair plugs.” But today, hair transplants are hardly detectable even by someone sitting across from you at dinner. For example, have you seen the before and after pictures of New England Patriots current quarterback Tom Brady? Do an internet search and you’ll be blown away at his transformation. His hair restoration surgery made him look 10 years younger. Good move in my opinion, I think he looks great. If you’re considering hair restoration surgery, my first recommendation is that you stay away from all the big companies like Hair Club and Bosley. During my search, I signed up for consultations at both of these less than stellar options. What I didn’t like about these “corporations” is that they first introduce you to a salesperson, not an actual doctor. Let me add that Hair Club’s saleswoman was a total knockout. With that said, her good looks were no match for my analytical-solution style approach to the situation. After never getting the chance to meet actual surgeons at either Bosley or Hair Club, I knew I needed to get away from these bigger entities. I knew I had to find an independent surgeon. If you are in the market to regrow your hair, restore your hair, or however you want to spin it, I highly recommend that you search for an independent surgeon. And don’t limit yourself to your local city options. Most out of town doctors will do a phone call with you as long as you email them pictures of your hair loss. I would do at least 3 to 5 consultations before selecting the surgeon of your choice. Here is a website to help your search. During each of your consultations, make sure to have a list of questions for him or her. A main question to ask is how many surgeries they do per day. If you think they have an assembly line process, then run! I recommend you find a surgeon who only does 1 surgery per day. Why? Well, the last thing you want is a tired doctor working on your dome! I’d also recommend you ask each surgeon if they’d be willing to let you talk to one of their recent patients. They should have no problem passing you a phone number to one of their happy customers. Lastly, make sure you ask if they’re an actual surgeon, and where they went to medical school. I’m sure you’ll find this information on their website, but just ask. After very, very careful consideration, I chose Sharon Keene to do my hair restoration procedure. I want to make it clear that this is not a paid endorsement, just an honest organic recommendation. And she fully deserves it. She is professional, honest, and an artist & pioneer at what she does. Her history in the industry, credentials, and upfront consultation was more than enough evidence for me to fly from California to get my procedure completed at her clinic in Arizona. I won’t get into the fine details of hair restoration because that’s not the purpose of this article. It’s simply a great solution to prevent balding in your 20’s or 30’s, or really, at any time in life. With that said, if you decide you want to restore your hair you’ll need to have a little patience. When your procedure is complete, It’s going to take about 4 to 6 months for your new hair take shape. It will most likely take anywhere from 8-10 months to see your final result. 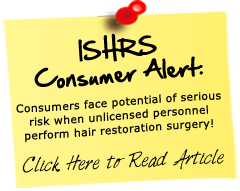 In my opinion hair restoration is worth the “regrowth wait”. It’s also worth the cost. It’s been about 10 years since my procedure, and if I remember right I paid about $5,500. If I went the Rogaine route, I would have much less healthy hair today and it would have costed me ~$3,594 over the past 10 years ($29.95 per month x 120 months). I believe I made the right decision for myself. One recent fad I’ve been seeing on news sites are hair loss tattoos. When I first learned about this type of hair loss solution I almost died laughing. But after further research, it looks like a viable option, assuming you never want to grow your hair out longer than ½ mm and are content with the lifetime shaved head look. Like hair transplantation, you might need more tattoos as you age. I can’t actually make a recommendation on hair loss tattoos as I’ve never met anyone who has completed this procedure. From my research these hair loss tattoos can cost anywhere from $2,000 to $3,500. If you’re wondering how to stop hair loss naturally, you can try light therapy via LED/Laser Hair Loss Hats. I can’t give you a personal recommendation on the use of these types of products because they weren’t available when I needed them 10 years ago. However, take a look at this hair loss experiment and publication which concluded that certain wavelengths of LED’s or lasers (655nm) increased haircount by up to 35%! Losing your hair in your 20’s and 30’s is no fun. It can lower your self confidence and negatively affect your career, dating outcomes, and other interpersonal situations. After reading this article, do you see how important it is to have a hair loss prevention strategy in place? Whether you plan on taking medication, shaving your head, dousing your dome with Rogaine, doing a hair restoration procedure, getting a head tattoo, or taking a chance on 655nm light therapy, there’s an option out there for whatever level of hair loss you dealing with. I thought this article would be a great fit for the readers and subscribers of EmLovz.com and I hope my advice helps you kick hair loss to the curb. If you think your hair loss is preventing you from reaching your dating goals, don’t hesitate to book a coaching session with Emyli. She’s a dating genius and has helped men with hair loss issues find girlfriends, wives, and long term partners. See the website https://hairrestore.com/ for Hair Restoration Surgical Clinic in Tucson or a Hair Restoration Surgical Clinic in Scottsdale Arizona for an appointment with Dr. Keene.